Home » Photography Travel Blog » Best Travel Photo Contest! And the winner is…. Best Travel Photo Contest! And the winner is…. Being a travel club for photography lovers we’re proud to present the winner of our first travel photo contest! We gave away an AWESOME prize: a Spider Holster Black Widow Kit! (a value of $65.99). It’s a camera holster to replace the ever annoying shoulder strap. I’ve been using it for months and LOVE IT! We’ll also start bringing an extra one for our members to try out on our adventures! Our winner is travel club member Martin Cauchon from Quebec, Canada. 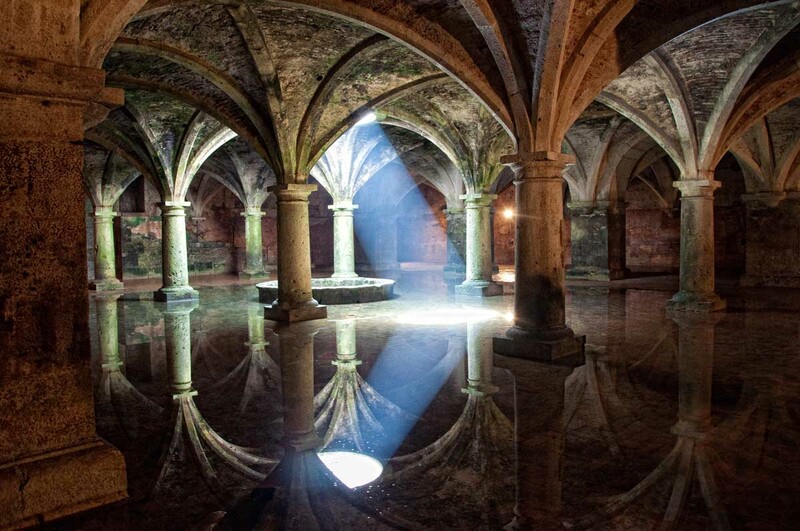 The cistern was built in 1514, originally a warehouse, was converted into a cistern during the 16th century. The chamber in the picture was built with five rows of five stone pillars. You see the thin layer of water that covers the floor which has made the cistern famous (and great for photography too). The small beam of light that illuminates the chamber creates awesome reflections off the walls and columns which was captured so beautifully by Martin in his photograph. A special thanks to the Nikon D90 Facebook page for hosting our contest and thanks again to Spider Holster for sponsoring our first travel photo contest giveaway! Congratulations Martin! That’s a really magical shot – well done! Gorgeous photo. Amazing reflections. Congrats, Martin! Hey that is a fantastically atmospheric photograph, congratulations! An amazing picture, it’s always been a country I wanted to visit! Somewhere like that should be in a movie at some point – a great picture. The reflection from the water is what makes it; very mysterious. this is so beautiful!! i am considering to buy a dslr cam. good recommnedation btw.! This is an incredible picture! Just curious, is the beam of light artificial or natural? The color of the light leads me to believe artificial, but I just want to be sure… Thanks! Martin swears it is totally natural! Great jog! Beautiful picture. Really makes me want to go there for a visit. Amazing reflection & fantastic photography……. the grain adds ‘authenticity’. lovely. Got a few of my own travel pics to check out! Everything looks amazing. It could be hard taking such a shot especially without a tripod at hand. Wow! How cool was the shot?! Nice..
Not much at all–maybe just a little touch up on photoshop! nice shot! can’t believe you got that without a tripod! beautiful shot! right time and right moment. congrats!